Dining area has its own beauty in the home. It is the place of family talks and gossips. It is the space to serve the favorite delicacies of all family members. The design of the dining room should be unique and lively. The color of the dining table and chairs must attract those who enter the house. 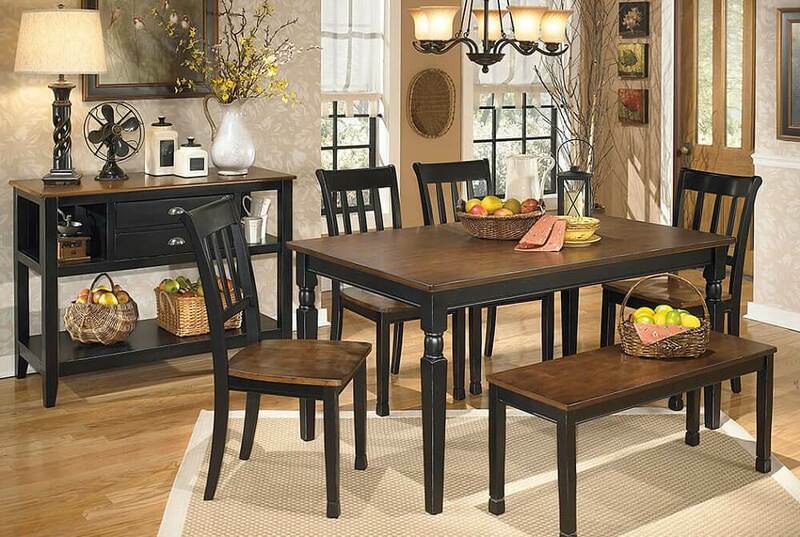 In other words, the dining room furniture should be as pleasing as possible. Let us discuss some of the best ideas for decorating the dining space. 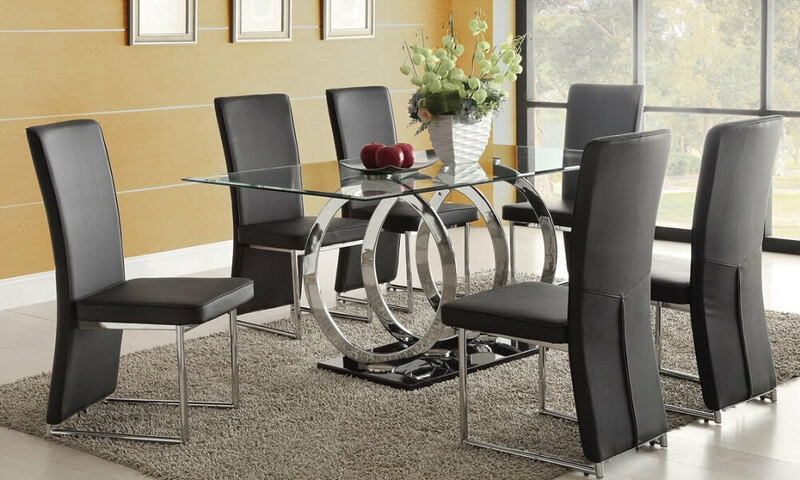 Glass tabletops are one of the most stylish dining room sets you can get for your home. It is easy to clean and suits every type of wall art. While choosing a glass tabletop, go for tempered safety glass. 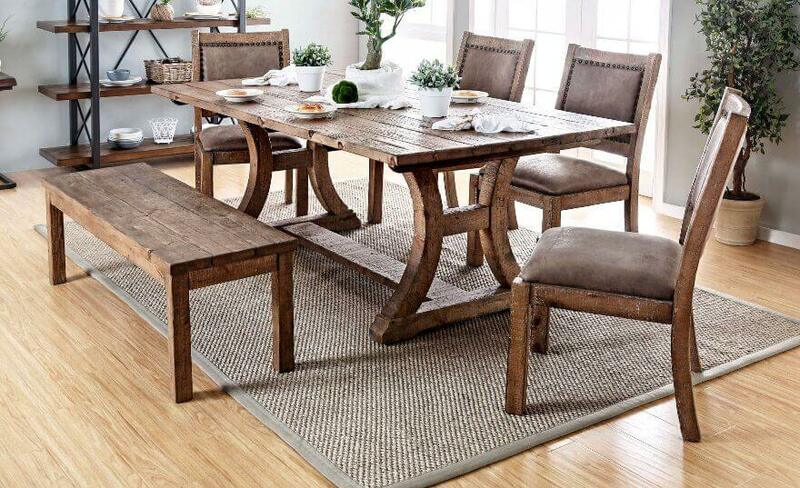 Create a natural look in the dining area with rustic style. This style is popular in cottages and cabins. 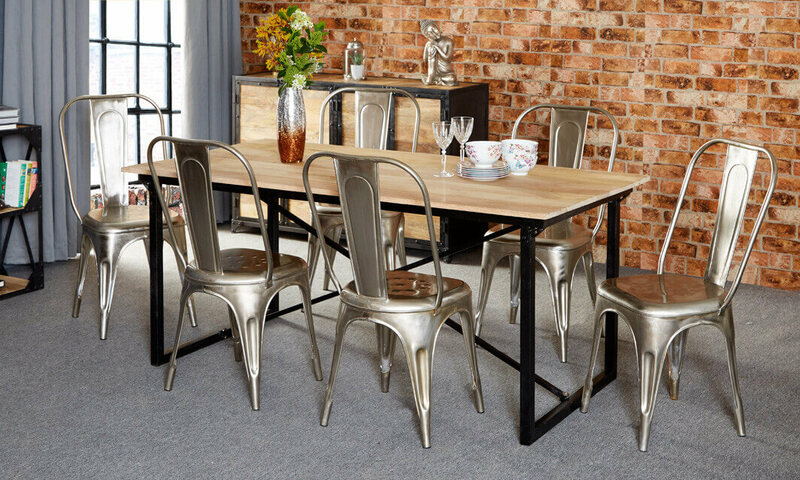 You can choose a round or rectangular framed table along with wooden chairs. You can also place the long benches for people to sit during the dinner. The exquisite marble tabletops can be molded into any shape. They are durable and give a unique look to your dining space. Since marble is white in color, you can decorate the table with colorful beads and other artistic materials for enjoying meals. 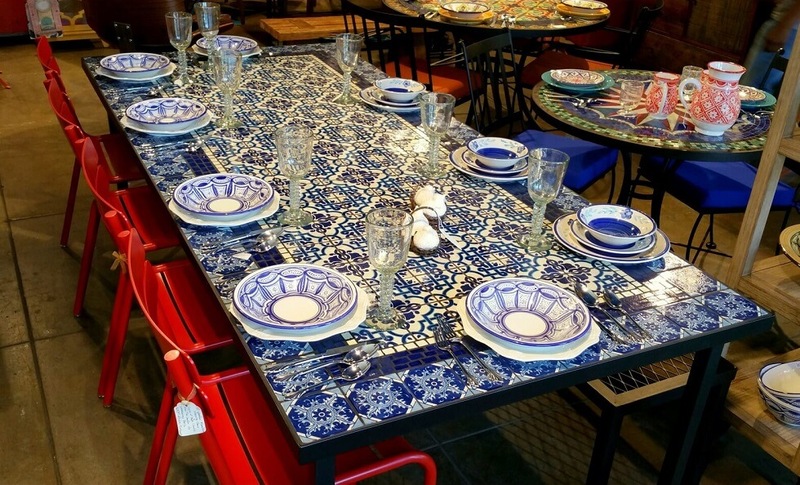 These tabletops are widely used in restaurants and pubs. It has many layers to hold any capacity. Laminate tabletops have generally the bases made from steel. They last for a long period of time. Contemporary design is highly popular in modern homes. These tables have any shape and size. It can be made from breakable plastic, glass or any other kind of material. 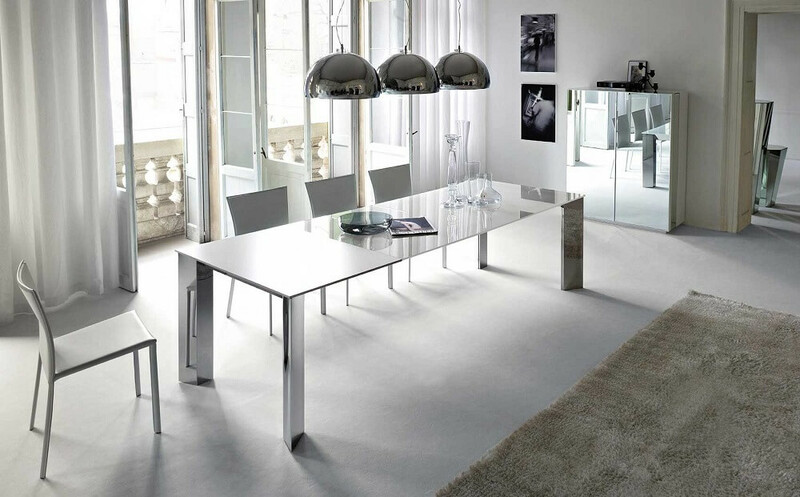 The capacity varies in each type of contemporary tables. This design usually applies to the wooden tabletops. You can place the tiles on the tabletop for a different appearance. Tiles will match with any kind of chair. This is a refined dining room ideas you can apply in your homes. A simple square table not only looks elegant but also provides ample space for sitting. You can combine any kind of chairs with the square table. For a more attractive look, place some artistic showpieces on the table or a beautiful vase also looks better. 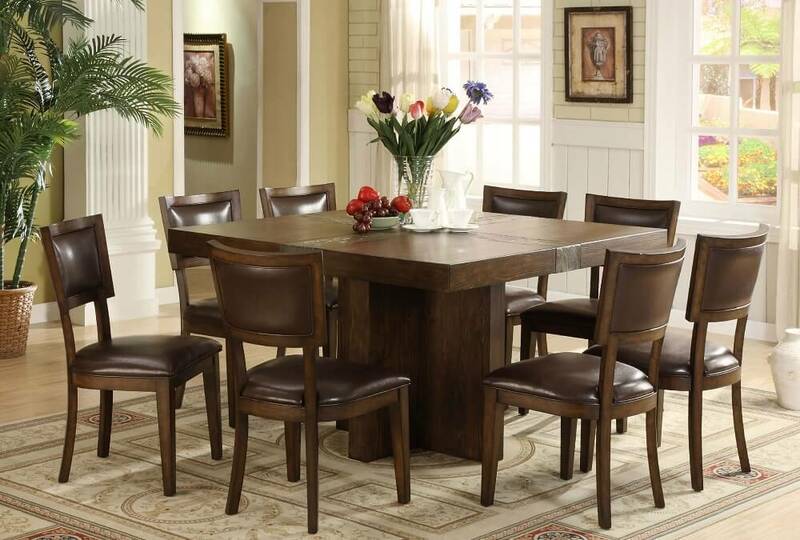 The oval table is one of the most amazing dining room table ideas. It gives large space to the diners. 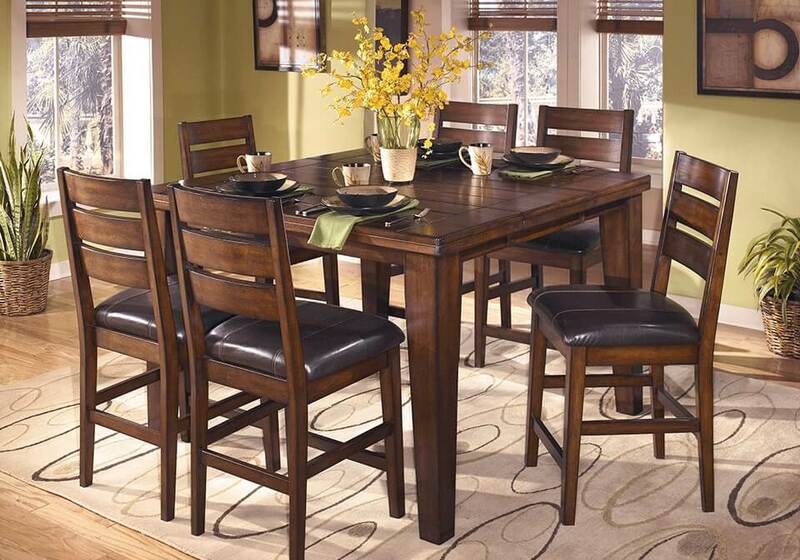 You can place the round or rectangular chairs on all sides of the table for a lovely family dinner. Oval tables come with a variety of bases such as narrow or broad base. 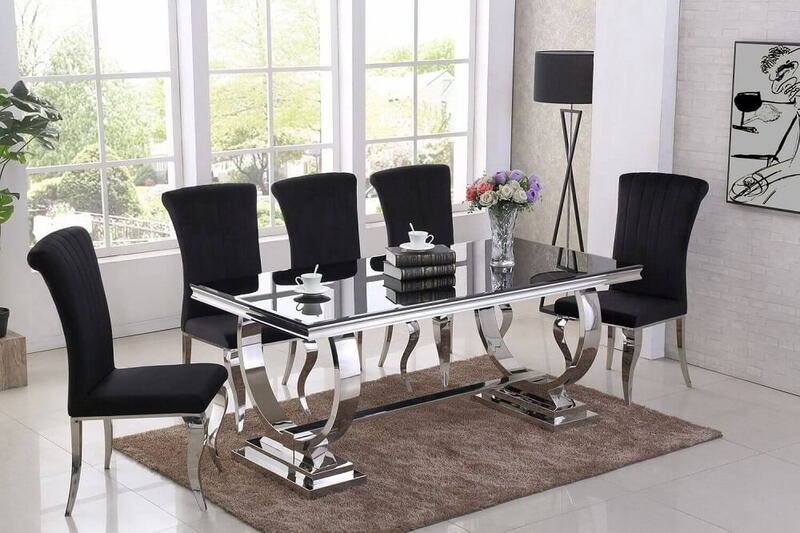 If you do not want to make huge changes in your dining area and still want a modern look, try a traditional dining table set. These tables come with different bases and artistic corners. It also gives a large space for sitting. The industrial look may look boring but it is a nice idea if you want to create a dining space in the garden area. A simple wooden table is joined by the metal base. It is however durable and you can place it in an open area. The next on the list is Metal table. It looks stylish and throws a cool touch to the dining area. These tables are normally smaller than other common tables. They can fit in any type of space. The metal tables do not get dirty with dirt or pollutants in the home. The freeform table is perfect for couples. There is no definite shape of these tables. They normally include a wooden table with a base of wooden sticks. In other words, you can also call it a study table. Shaker is nothing but a simple wooden table. It has no beautiful designs or edged corners. The four wooden pillars support the weight of the wooden plank. It is normally rectangular in shape and you can match it with a wooden dining room chair. This gives a vintage look to your dining area. 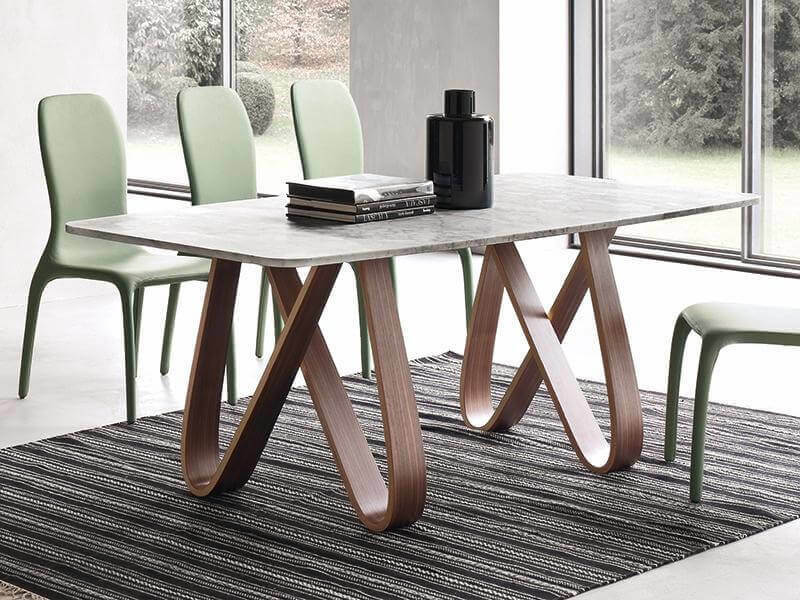 The pedestal base can be of any shape and it enhances the look of the dining table. 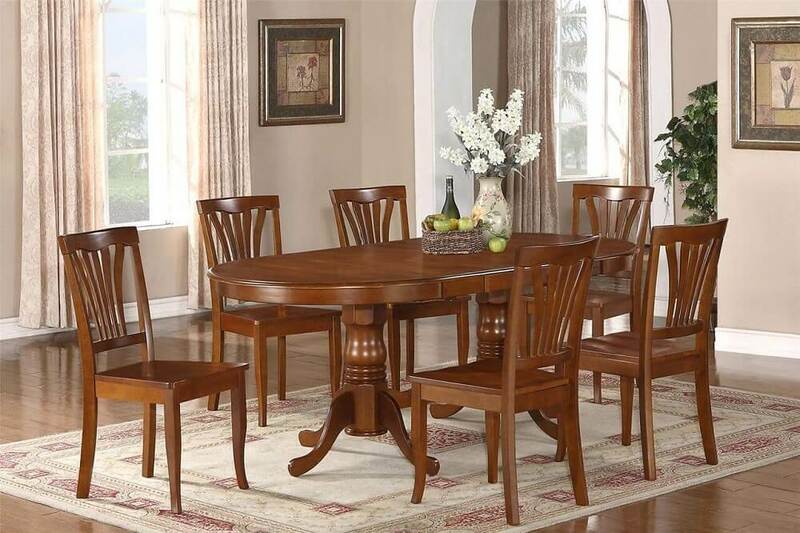 Pedestal base tables are perfect for rich class families. These bases are strong and can hold the weight of any material. 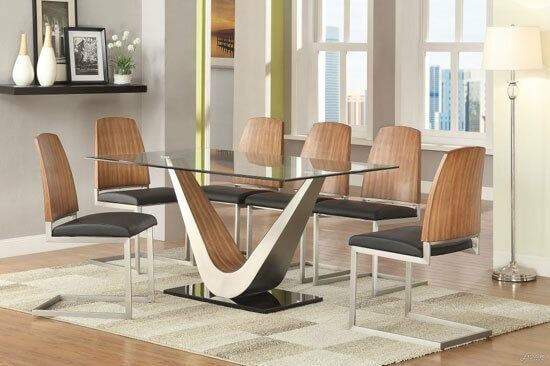 These are the unique table ideas you can take for your modern dining room furniture. 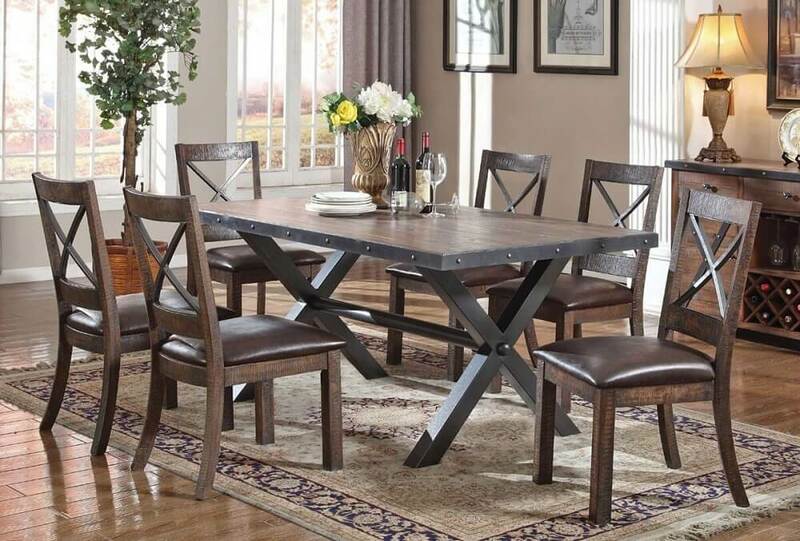 These tables will liven up the dining area and give a good dinner time too. You can then apply some elegant wall arts texture paintings on the walls to give a more vibrant look to the dining space. Additionally, you can make your dining area more beautiful with hanging lamps and pendants of different colors.